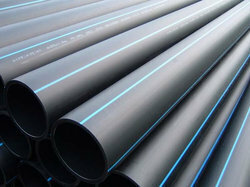 We are a leading Exporter of hdpe pipes and tube settler media for drinking water from Delhi, India. We are offering Tube settler Media for drinking water supply system in good quality and available diffrent size. 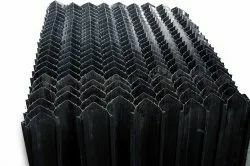 The materials of construction for the tube settler media modules shall be Polyvinyl Chloride (PVC) and shall be strong, rigid, resistant to chemical deterioration in an outdoor environment. Settling tank/ Clarifiers/bas ins equipped with tube settlers can operate at 2 to 5 times the normal rate of clarifiers/basins without tube settlers. New installations using tube settlers can be designed smaller and compact because of increased flow capability. Flow of existing water treatment plants can be increased through the addition of tube settler media. Tube settler media increase allowable flow capacity by expanding settling capacity and increasing the solids removal rate in settling tanks.